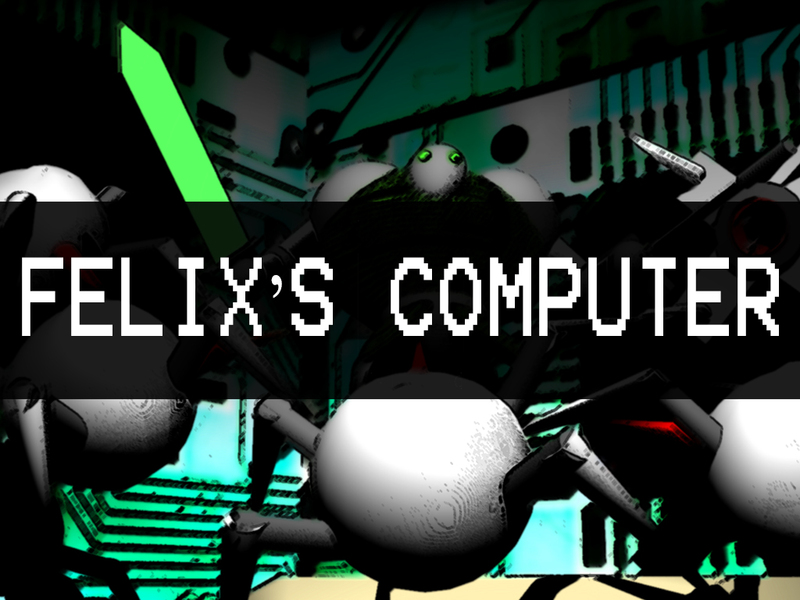 A mysterious and evil hacker has injected Felix's computer with loads of malicious viruses! It is up to Felix to take full use of TryHard, the world's top antivirus software, to clean out all the viruses top-down shooter style! Felix is rendered helpless upon reading the email sent to him from a mysterious person who goes by the name of Sumeth. The email states of how careless Felix was for leaving his laptop unattended in a restaurant, and that Sumeth has heavily infected Felix’s laptop with computer viruses during Felix’s absence from his laptop. Sumeth took control over Felix’s laptop, and if Felix does not comply with Sumeth’s wishes the computer infection will worsen. But not all hope is lost. A friend of Felix has extra copies of TryHard, the most powerful anti-virus software of the century. The software however, as powerful as it is, requires manual control. With TryHard installed in Felix’s laptop, it is up to Felix to crush Sumeth’s viruses and save his laptop from its infection.